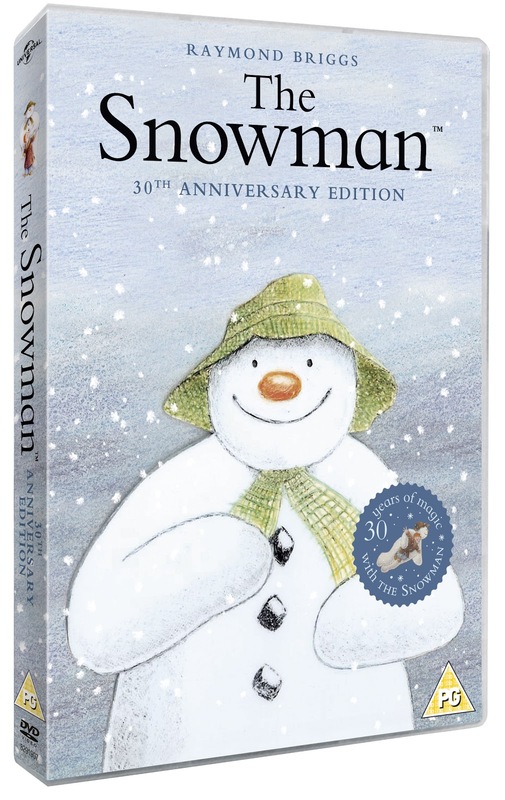 Today sees the launch of the brand new 30th Anniversary edition of The Snowman on DVD and Blu-Ray. Yes, you read that right, 30TH ANNIVERSARY. 30 years on the short movie of The Snowman is just as magical for me as it was when I first saw it. I recently sat down to watch it with Lara for the first time and she sat in a stunned silence with a magical, christmassy sparkle in her eyes. There are a number of other features on the anniversary disc such as commentary from some of the movie's key names, including Aled Jones who was the voice on the original recording of "Walking in the air". To be honest, most of the additional features aren't of interest to my 3 year old but the movie is mesmerising and magical. Watching The Snowman really got Lara into a wintery, christmassy mood. There were giggles and exclamations as the snowman explored inside the little boy's house. Lara seemed to really like the flying scenes as she knew this meant it there was magic at work. I'm so glad Lara enjoyed the snowman and I hope that watching it together as a family becomes as much of a christmas tradition as it was when I was younger.